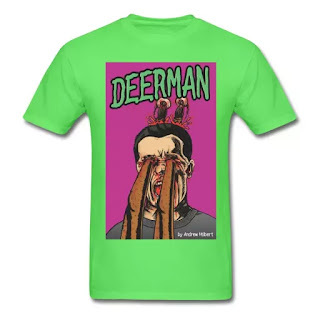 Deerman: Deerman, Episode 11 is live for patrons! Deerman, Episode 11 is live for patrons! Patrons of the Deerman project can enjoy episode 11 right now! Right here! Click here! If you don't want to become a patron, that's totally fine! Why not buy a t-shirt? Click here. Or buy something on Amazon. Why not my book? Deerman, Episode 15 is here! Thank you for your support. Remember to become a patron here or buy a t-shirt here.